Prolific actor Kalu Ikeagwu and his wife have welcomed their first child, a boy. The couple got married in June 2016. The excited actor took to his Instagram page to share the good news with his fans. Kalu Ikeagwu who married his wife very late in his life was exceedingly happy as he welcomed a child with her. The new born who is a boy was called a jubilee son by him. 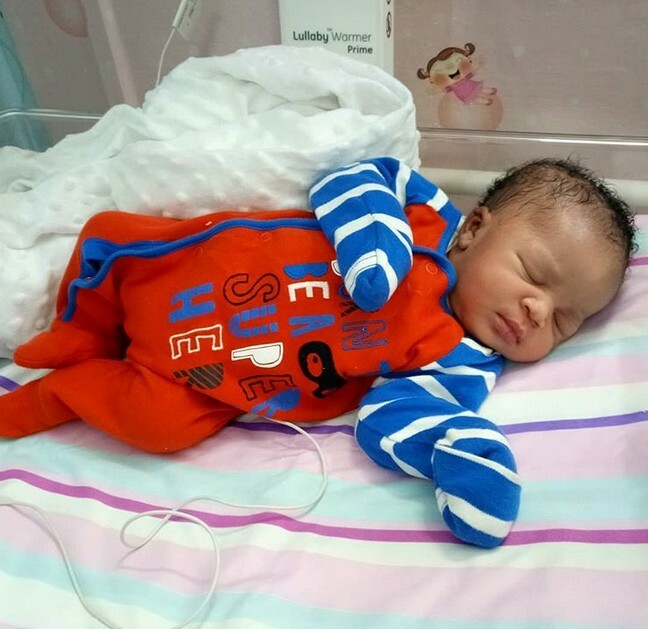 Taking to Instagram to share the news about his wife’s delivery, Kalu could not help but shower praises upon the lovely son who had chosen to come to him at this point in time. Even more, he appreciated his wife Ijay for giving him the lovely gift of a son. In appreciating her, he took to expressing his love for her and their new bundle of joy through his words.